We specialize in Fabricating and Metalworking Equipment. We want to help you in the future when buying machinery for your company. T&S Machine is your one stop shop for the highest quality fabricating and metalworking equipment. We provide service such as appraisals, financing, shipping, installation, training, software, trade ins and tooling upon request. All our equipment comes standard with a 30 day warranty unless otherwise specified. 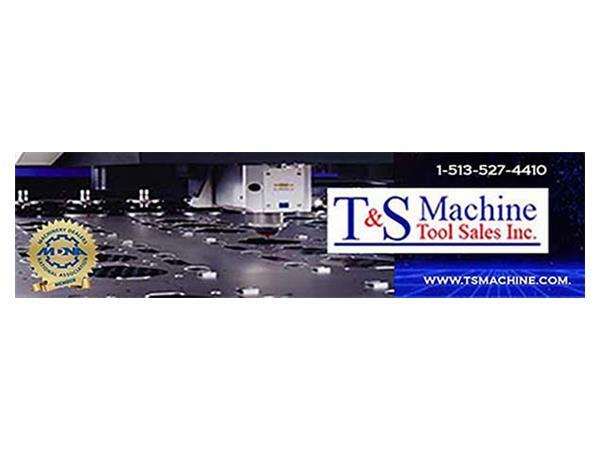 Equipment Listings by T&S Machine Tool Sales Inc.